so we would like to make a "Happy Birthday" card this week! My image this week, is called "cupcake"
and is from "A Stitch Back in Twine." seen in my design on the cupcake holder and in the butterflies. so had to photograph this after the natural light had gone. Beautiful card! That image is stunning and your coloring is really fabulous! 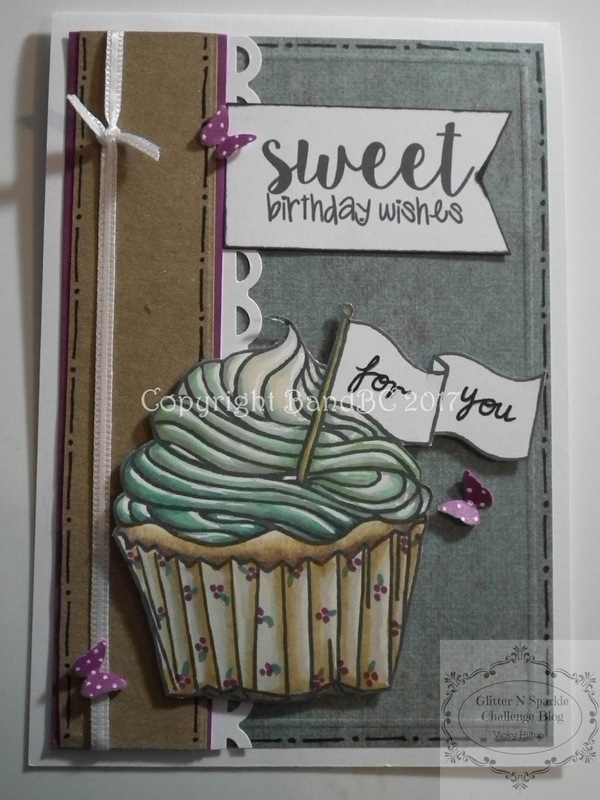 Love the paper pieced cupcake liner; so fun!! Thanks for playing with Jo's Scrap Shack.